WHO ELSE LOVES TEDDY COATS!? Teddy coats are super soft, affordable & popular. Living in Miami they are not very necessary, but as I am travelling to New York City quite often now, I decided to grab one. 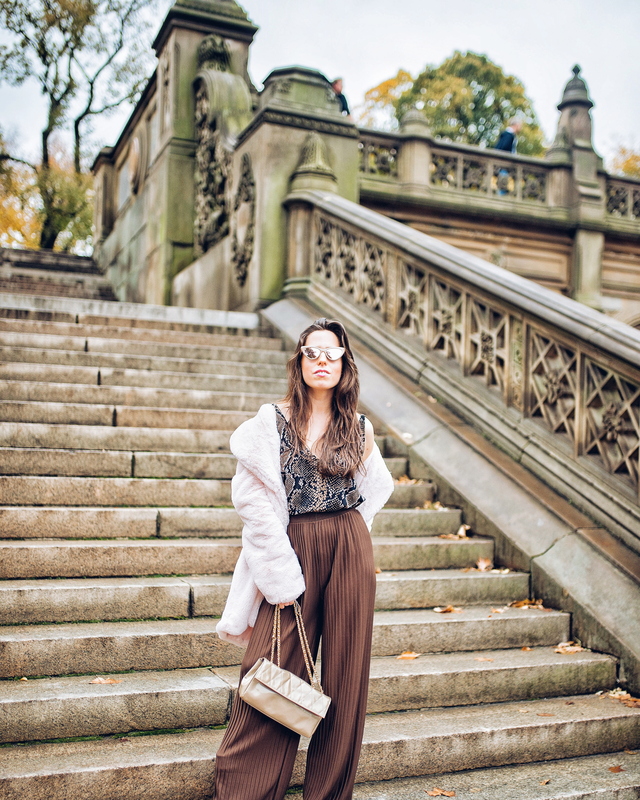 I spent the first few days of November up in NYC… loved walking around Central Park and seeing the leaves changing colors, and loved wearing my Fall outfits!!! I landed on Thursday night, and an Uber took me from the airport to Dakota Bar on the Upper West Side (beautiful lounge / bar!). That first night I was wearing a light dress, black boots, and this teddy coat on top. On Friday, it warmed up, but then on Saturday the temperature suddenly dropped, so I wore it out to dinner, over an ivory midi-dress with long sleeves. It kept me super warm even though I was wearing heels! On Sunday it dropped even more, into the 40s, and by Monday I was back in 80 degree weather, haha. 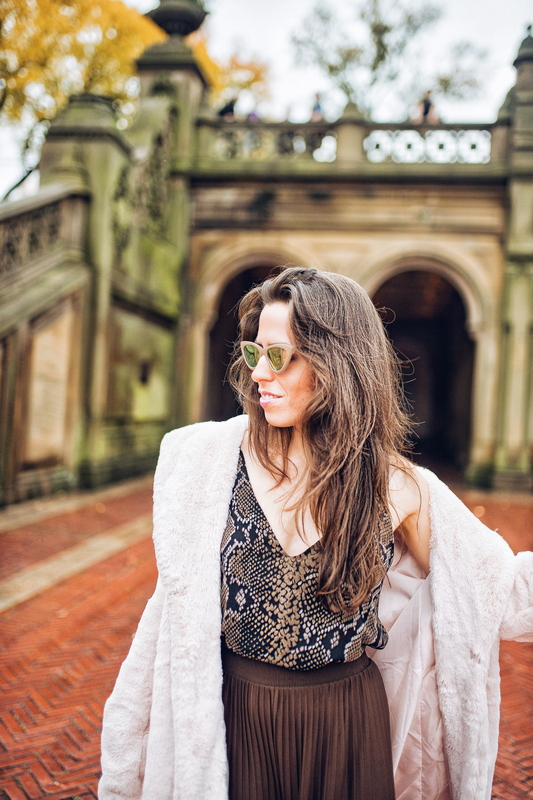 This blush teddy coat is super affordable, soft & comfy, and perfect to wear for any night out. It absolutely saved me that weekend! 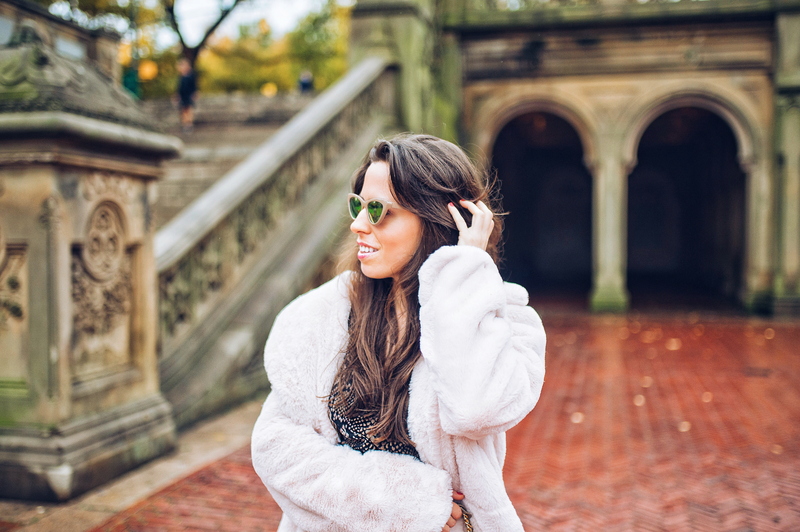 Shop my 15 favorite faux-fur teddy coats for Fall /Winter, at the top of this post. I included coats at every price point, ranging from $ 49.99… to $ 630.00 Check them out! AT THE TOP OF THIS POST!